In what circumstances are facility managers and their companies liable for what happens in their buildings? In the United Kingdom, the United States, Australia and other common law jurisdictions, occupiers owe a duty of care, through ownerships or leases, to people who visit their premises. This kind of occupier liability, which may arise from accidents caused by the defective or dangerous condition of the premises, is to a certain extent transferred to facility managers. From 2018 onwards, since the enforcement of the Property Management Services Ordinance (PMSO) in Hong Kong, the licensed managers, companies and their contractors have to consider their possible additional legal burden: What happens if a wrongdoing is caused by the negligence of the contractor? Under what circumstances will the facility managers in Hong Kong, under PMSO, be liable when they act on behalf of their employers? What are the impacts of the legislation on visitors’ safety and security? These questions serve as a useful reference when other common law jurisdictions consider introducing similar property management legislation. Australia – Between 1983 and 2002, occupiers’ liability legislations were enacted in the four Australian jurisdictions. U.S. – Premises liability law is well developed but differences are noted from state to state. The extent of landowners’ duty of care to persons who come on their premises varies depending on whether the persons are classified as trespassers, licensees or invitees. Hong Kong – Occupiers’ liability is partly governed by common law and partly by the legislation, i.e. Occupiers Liability Ordinance (Cap. 314). U.K. – The Occupiers’ Liability Act 1984 covers not only visitors but also trespassers. In the U.K., the Act extends the common duty of care to trespassers, providing that this duty is to be required when the occupier has actual or constructive knowledge that a danger exists and that a trespasser is or may be near it. It allows an injured trespasser to claim for death and personal injury, not for damage to personal property. The usual question about the occupiers’ liability is who the occupiers are. The deciding factor is whether the person has sufficient control over the premises. For example, a facility manager is usually regarded as an occupier of the building he or she looks after due to his or her control over the management of the building. Since the 9-11 attack on the World Trade Center in New York City in 2001, there has been a growing awareness of security throughout the world. Workplaces have been identified as potential terrorists’ targets. Acts of terrorism on facilities include bomb scares and bombings; cyber-attacks (computer-based); and the use of chemical, biological, nuclear and radiological weapons. High-risk facility targets cover military and civilian government facilities, international airports and landmarks. Many governments’ security departments issue guidelines regarding security to the general public and facility occupants. For example, on the website of the Australian National Security, advice is given about reporting suspicious behavior and what to do in an emergency. Obviously, visitors rarely pay attention to such advice in their ordinary lives. Owners and facility managers should take the leading role in safeguarding their visitors’ exposure to terrorist attacks. When evacuation is the usual response of emergencies, a terrorist emergency may require facility managers to be resilient. Sending people outside could be dangerous while staying within a building envelope may be safer. Facility managers need to plan and decide the safe places within premises, lead the visitors hiding from attackers and create a barricade. Staying away from windows which can cause numerous injuries in the event of an explosion. Facility mangers should practice and revise such plans as frequently as a fire drill. A competent facility manager should not assume that following the guidance from government or consultants would be adequate for tackling terroristic threats because exogenous factors may cause the threats to be higher at a particular time and venue, e.g. a visit of a presidential candidate to a university. Therefore, facility managers should tailor-make a contingency plan for each event. It is commonly accepted that facility managers should be the professionals responsible for visitors’ safety and security because this is part of the job duties of facility managers. For some buildings or premises, there could be more than one occupier (see Wheat v Lacon  AC 552). In such cases, occupiers other than facility managers (e.g. an owner-occupier who is the employer of a facility manager) are responsible for visitors’ safety and security, too. In short, facility managers and relevant occupiers share the occupiers’ liability, with the occupiers also bearing the employers’ liability. However, this apportion of liability may be changed in Hong Kong after the implementation of the Property Management Services Ordinance (PMSO). Literally, the terms “safety” and “security” are not specified in any one of the above categories. Nevertheless, general management services relating to a property and management of the environment of a property generally embrace safety and security services. Many safety and security devices in a building require repair and maintenance. Under the PMSO, a Property Management Services Authority (PMSA) is set up. It will regulate the property management companies (PMCs) and property management practitioners (PMPs) in Hong Kong through the implementation of a licensing system, issue of codes of practice and the standards for property management services, dispute resolution and complaint investigation on breach of the ordinance. The source of finance for the PMSA is collection of levy through conveyance on sale and stamp duty. The objective of the PMSO is to improve the property management services in Hong Kong through overseeing the property and facility managers and services companies. It is foreseeable that the PMSA will enhance the safety and security services in facilities by taking better control or providing more guidance on the works of property managers and companies. Such guidance may cover the service contractors of non-conventional property management services, e.g. safety planning and security devices maintenance. Facility managers who manage service contractors may be liable if a wrongdoing is caused by the negligence of their contractors, especially if it is so specified by the PMSA in the coming codes of practices under the PMSO. In Hong Kong, there have been discussions about the difference between facility manager and property manager, but the distinction between the roles of the two is often blurred. It is possible that PMSA may define the difference if it is going to oversee property managers but not facility managers. Alternatively, one may dodge the question by saying the definition of property manager (or facility manager) will be determined based on individual cases. Expectedly, the facility management service employers will act more wisely and faster by clearly defining the services they need in their service contracts. For example, facility management services in the future may specify the circumstances in which the facility managers will be liable when they act on behalf of their employers. In so doing, the visitors’ safety and security will be improved as the requirements of the property and facility management service contracts are likely to go up. 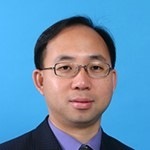 Dr. Philip Wong is a traffic engineering and FM consultant. He completed his PhD in Facility management at The Hong Kong Polytechnic University where he gives lectures on FM as a guest lecturer. Philip earned his LLB (Hons) degree through part-time study and developed his research interest in laws related to FM. He has served on the board of IFMA Hong Kong Chapter since 2012. Philip is an IFMA scholarship winner. Dr. Joseph Lai is an associate professor in the Department of Building Services Engineering, The Hong Kong Polytechnic University (PolyU). With a first-class honours degree in building services engineering, a master’s degree in environmental management and a PhD in facilities management, Dr. Lai as the PolyU Facility Management Programme Leader specialized in teaching management for existing buildings and legal matters in facility management. With his research focused on facilities engineering and management, Dr. Lai has published widely in international journals. Serving as co-editor of the journal “Facilities” and a regional editor of the journal “Smart and Sustainable Built Environment,” Dr. Lai is also on the committees of various professional institutions and public bodies.